In both of the settings where I work, psychiatric outpatient school as well as private practice, I spend a fair amount of time reviewing speech language evaluation reports. As I’m looking at these reports I am seeing that many examiners choose to base their decision making with respect to speech language services eligibility on the students’ core, index, or total scores, which are composite scores. For those who are not familiar with this term, composite scores are standard scores based on the sum of various test scaled scores. When the student displays average abilities on all of the presented subtests, use of composite scores clearly indicates that the child does not present with deficits and thereby is not eligible for therapy services. The same goes for the reverse, when the child is displaying a pattern of deficits which places their total score well below the average range of functioning. Again, it indicates that the child is performing poorly and requires therapy services. 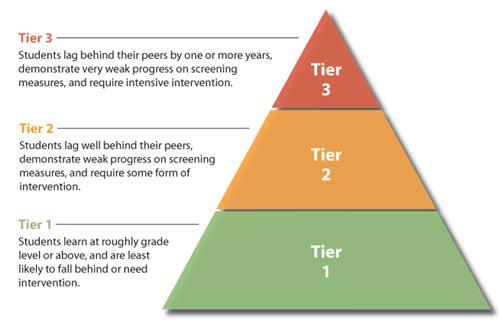 However, there’s also a the third scenario, which presents a cause for concern namely, when the students display a pattern of strengths and weaknesses on a variety of subtests, but end up with an average/low average total scores, making them ineligible for services. The above tables, taken from different evaluations, perfectly illustrate such a scenario. While we see that their total/index scores are within average range, the first student has displayed a pattern of strengths and weaknesses across various subtests of the TOPS-3, while the second one displayed a similar performance pattern on the TORC-4. Administration of another standardized test further probing into related areas of difficulty (e.g., in such situations the administration of a social pragmatic standardized test may reveal a significant pattern of weaknesses which would confirm student’s eligibility for language therapy services). Administration of informal/dynamic assessments/procedures further probing into the student’s critical thinking/verbal reasoning skills. Here is the problem though: I only see the above follow-up steps in a small percentage of cases. In the vast majority of cases in which score discrepancies occur, I see the examiners ignoring the weaknesses without follow up. This of course results in the child not qualifying for services. So why do such practices frequently take place? Is it because SLPs want to deny children services? And the answer is NOT at all! The vast majority of SLPs, I have had the pleasure interacting with, are deeply caring and concerned individuals, who only want what’s best for the student in question. Oftentimes, I believe the problem lies with the misinterpretation of/rigid adherence to the state educational code. For example, most NJ SLPs know that the New Jersey State Education Code dictates that initial eligibility must be determined via use of two standardized tests on which the student must perform 1.5 standard deviations below the mean (or below the 10th percentile). Based on such phrasing it is reasonable to assume that any child who receives the total scores on two standardized tests above the 10th percentile will not qualify for services. Yet this is completely incorrect! Let’s take a closer look at the clarification memo issued on October 6, 2015, by the New Jersey Department of Education, in response to NJ Edu Code misinterpretation. Here is what it actually states. Firstly, it emphasizes functional assessments. It doesn’t mean that assessments should be exclusively standardized rather it emphasizes the best appropriate procedures for the student in question be they standardized and nonstandardized. Secondly, it does not limit standardized assessment to 2 tests only. Rather it uses though phrase “at least” to emphasize the minimum of tests needed. It explicitly makes a reference to following up on any weaknesses displayed by the students during standardized testing in order to get to the root of a problem. It specifies that SLPs must assess all displayed areas of difficulty (e.g., social communication) rather than assessing general language abilities only. Finally, it explicitly points out that SLPs cannot limit their testing interpretation to the total scores but must to look at the testing results holistically, taking into consideration the student’s entire assessment performance. The problem is that if SLPs only look at total/core scores then numerous children with linguistically-based deficits will fall through the cracks. We are talking about children with social communication deficits, children with reading disabilities, children with general language weaknesses, etc. These students may be displaying average total scores but they may also be displaying significant subtest weaknesses. The problem is that unless these weaknesses are accounted for and remediated as they are not going to magically disappear or resolve on their own. In fact both research and clinical judgment dictates that these weaknesses will exacerbate over time and will continue to adversely impact both social communication and academics. So the next time you see a pattern of strengths and weaknesses and testing, even if it amounts to a total average score, I urge you to dig deeper. I urge you to investigate why this pattern is displayed in the first place. The same goes for you – parents! 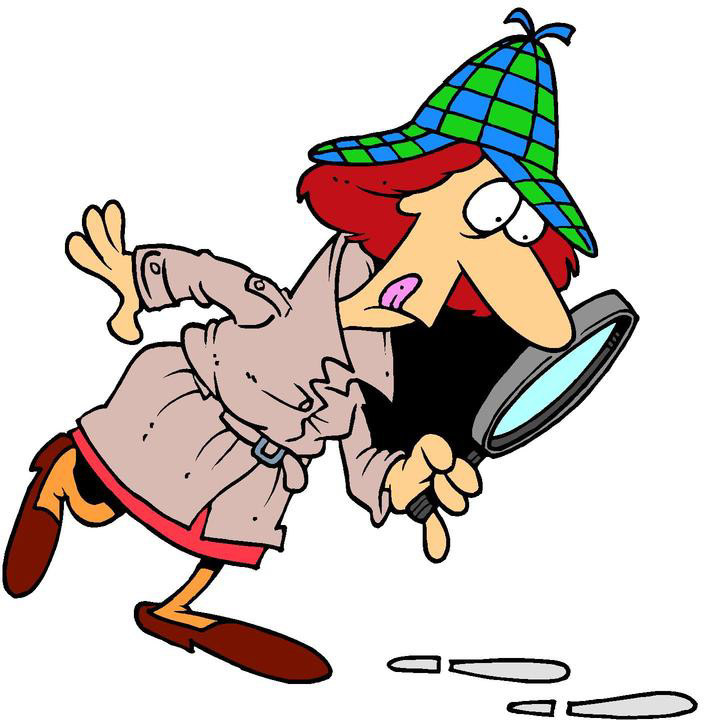 If you are looking at average total scores but seeing unexplained weaknesses in select testing areas, start asking questions! Ask the professional to explain why those deficits are occuring and tell them to dig deeper if you are not satisfied with what you are hearing. All students deserve access to FAPE (Free and Appropriate Public Education). This includes access to appropriate therapies, they may need in order to optimally function in the classroom. I urge my fellow SLP’s to carefully study their respective state codes as well as know who they are state educational representatives are. These are the professionals SLPs can contact with questions regarding educational code clarification. For example, the SEACDC Consultant for the state of New Jersey is currently Fran Liebner (phone: 609-984-4955; Fax: 609-292-5558; e-mail: [email protected]). However, the Department of Education is not the only place SLPs can contact in their state. Numerous state associations worked diligently on behalf of SLPs by liaising with the departments of education in order to have access to up to date information pertaining to school services. In the state of New Jersey, the School Affairs Committee (SAC) of the New Jersey Speech-Language-Hearing Association (NJSHA), has developed a number of documents of interest for the school-based SLPs which can be found HERE. For those SLPs located in states other than New Jersey, ASHA helpfully provides contact information by state HERE. When it comes to score interpretation, there are a variety of options available to SLPs in addition to the detailed reading of the test manual. We can use them to ensure that the students we serve experience optimal success in both social and academic settings. Our ability to recognize our own and other people’s emotions, distinguish between and correctly identify different feelings, as well as use that information to guide our thinking and behavior is called Emotional Intelligence (EI) (Salovey, et al, 2008). EI encompasses dual areas of: emotion understanding, which is an awareness and comprehension of one’s and others emotions (Harris, 2008) and emotion regulation, which are internal and external strategies people use to regulate emotions (Thompson, 1994). Many students with social communication challenges experience problems with all aspects of EI, including the perception, comprehension, and regulation of emotions (Brinton & Fujiki, 2012). 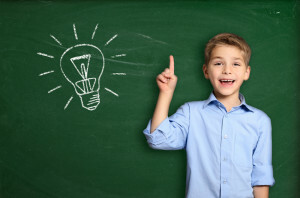 A number of recent studies have found that children with language impairments also present with impaired emotional intelligence including impaired perception of facial expressions (Spackman, Fujiki, Brinton, Nelson, & Allen, 2005), prosodic emotions (Fujiki, Spackman, Brinton, & Illig, 2008) as well as abstract emotion comprehension (Ford & Milosky, 2003). Many students with social pragmatic deficits and language impairments are taught to recognize emotional states as part of their therapy goals. However, the provided experience frequently does not go beyond the recognition of the requisite “happy”, “mad”, “sad” emotions. At times, I even see written blurbs from others therapists, which state that “the student has mastered the goals of emotion recognition”. However, when probed further it appears that the student had merely mastered the basic spectrum of simple emotional states, which places the student at a distinct disadvantage as compared to typically developing peers who are capable of recognition and awareness of a myriad of complex emotional states. That is why I developed a product to target abstract emotional states comprehension in children with language impairments and social communication disorders. “Gauging Moods and Interpreting Abstract Emotional States: A Perspective Taking Activity Packet” is a social pragmatic photo/question set, intended for children 7+ years of age, who present with difficulty recognizing abstract emotional states of others (beyond the “happy, mad, sad” option) as well as appropriately gauging their moods. Many sets contain additional short stories with questions that focus on making inferencing, critical thinking as well as interpersonal negotiation skills. Select sets require the students to create their own stories with a focus on the reasons why the person in the photograph might be feeling what s/he are feeling. There are on average 12-15 questions per each photo. Each page contains a photograph of a person feeling a particular emotion. After the student is presented with the photograph, they are asked a number of questions pertaining to the recognition of the person’s emotions, mood, the reason behind the emotion they are experiencing as well as what they could be potentially thinking at the moment. Students are also asked to act out the depicted emotion they use of mirror. Activities also include naming or finding (in a thesaurus or online) the synonyms and antonyms of a particular word in order to increase students’ vocabulary knowledge. A comprehensive two page “emotions word bank” is included in the last two pages of the packet to assist the students with the synonym/antonym selection, in the absence of a thesaurus or online access. Students are also asked to use a target word in a complex sentence containing an adverbial (pre-chosen for them) as well as to identify a particular word or phrase associated with the photo or the described story situation. Since many students with social pragmatic language deficits present with difficulty determining a person’s age (and prefer to relate to either younger or older individuals who are perceived to be “less judgmental of their difficulties”), this concept is also explicitly targeted in the packet. This activity is suitable for both individual therapy sessions as well as group work. In addition to its social pragmatic component is also intended to increase vocabulary knowledge and use as well as sentence length of children with language impairments. ODD, ADHD, MD, Anxiety, Depression, etc. This activity is suitable for both individual therapy sessions as well as group work. In addition to its social pragmatic component is also intended to increase vocabulary knowledge and use as well as sentence length of children with language impairments. You can find it in my online store (HERE). Brinton, B., Fujiki, M., & Powell, J. M. (1997). The ability of children with language impairment to manipulate topic in a structured task. Language, Speech and Hearing Services in Schools, 28, 3-11. Brinton B., & Fujiki, M. (2012). Social and affective factors in children with language impairment. Implications for literacy learning. In C. A. Stone, E. R. Silliman, B. J. Ehren, & K. Apel (Eds. ), Handbook of language and literacy: Development and disorders (2nd Ed.). New York, NY: Guilford. Cloward, R. (2012). The milk jug project: Expression of emotion in children with language impairment and autism spectrum disorder (Unpublished honor’s thesis). Brigham Young University, Provo, Utah. Ford, J., & Milosky, L. (2003). Inferring emotional reactions in social situations: Differences in children with language impairment. Journal of Speech, Language, and Hearing Research, 46(1), 21-30. Harris, P. L. (2008). Children’s understanding of emotion. In M. Lewis, J. M. Haviland-Jones, & L. Feldman Barrett, (Eds. ), Handbook of emotions (3rd ed., pp. 320–331). New York, NY: Guilford Press. Salovey, P., Detweiler-Bedell, B. T., Detweiler-Bedell, J. B., & Mayer, J. D. (2008). Emotional intelligence. In M. Lewis, J. M. Haviland-Jones, & L. Feldman Barrett (Eds. ), Handbook of Emotions (3rd ed., pp. 533-547). New York, NY: Guilford Press. Spackman, M. P., Fujiki, M., Brinton, B., Nelson, D., & Allen, J. (2005). The ability of children with language impairment to recognize emotion conveyed by facial expression and music. Communication Disorders Quarterly, 26(3), 131-143. One common difficulty our “higher functioning” (refers to subjective notion of ‘perceived’ functioning in school setting only) language impaired students with social communication and executive function difficulties present with – is lack of insight into own strengths and weaknesses. Yet insight is a very important skill, which most typically developing students exhibit without consciously thinking about it. Having insight allows students to review work for errors, compensate for any perceived weaknesses effectively, and succeed with efficient juggling of academic workload. In contrast, lack of insight in students with language deficits further compounds their difficulties, as they lack realization into own weaknesses and as a result are unable to effectively compensate for them. That is why I started to explicitly teach the students on my caseload in both psychiatric hospital and private practice the concept of insight. Now some of you may have some legitimate concerns. You may ask: “How can one teach such an abstract concept to students who are already impaired in their comprehension of language?” The answer to that is – I teach this concept through a series of concrete steps as well as through the introduction of abstract definitions, simplified for the purpose of my sessions into concrete terms. Furthermore, it is important to understand that the acquisition of “insight” cannot be accomplished in one or even several sessions. Rather after this concept is introduced and the related vocabulary has been ‘internalized’ by the student, thematic therapy sessions can be used to continue the acquisition of “insight” for months and even years to come. When I first started teaching this concept I used to explain the terminology related to “insight” verbally to students. However, as my own ‘insight’ developed in response to the students’ performance, I created a product to assist them with the acquisition of insight (See HERE). This thematic 10 page packet targets the development of “insight” in students with average IQ, 8+ years of age, presenting with social pragmatic and executive function difficulties. The packet contains 1 page text explaining the concept of insight to students. 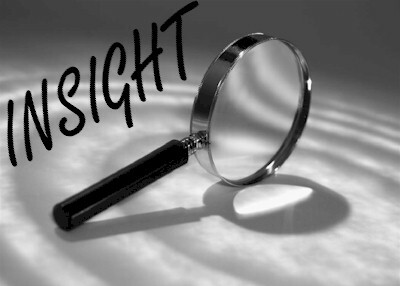 I introduce the concept of “insight” to clients by writing down the word and asking them to identify its parts: ‘in‘ and ‘sight‘. Depending on the student’s level of abilities I either get to the students to explain it to me or explain it myself that it is a compound word made up of two other words. I then ask the students to interpret what the word could potentially mean. After I hear their responses I either confirm the correct one or end up explaining that this word refers to “looking into one’s brain” for answers related to how well someone understands information. I have the students read the text located on the first page of my packet going over the concept of insight and some of its associated vocabulary words. I ask the students to tell me the main idea of each paragraph as well as answer questions regarding supporting text details. Once I am confident that the students have a fairly good grasp of the presented text I move on to the definitions page. There are actually two definition pages in the lesson: one at the beginning and one at the end of the packet. The first definitions page also contains word meaning and what parts of speech the definitions belong to. The definition page at the end of the packet contains only the targeted words. It is now the students responsibility to write down the definition of all the vocabulary words and phrases in order for me to see how well they remember the meanings of pertinent words. The packet also includes comprehension questions, a section on sentence construction several morphological awareness activities, a crossword puzzle and a self-reflection page. How do you think you did on this task? How do you know you did ________? How can you prove to me you understood ________? If a student responds “I know I did well because I understood everything”, I typically ask them to prove their comprehension to me, verbally. Here the goal is to have the student provide concrete verbal examples supporting their insight of their performance. As mentioned above this activity is only the beginning. After I ensure that the students have a decent grasp of this concept I continue working on it indirectly by having the students continuously judge their own performance on a variety of other therapy related activities and assignments. You can find the complete packet on teaching “insight” in my online store (HERE). Also, stay tuned for Part II of this series, which will describe how to continue solidifying the concept of “insight” in the context of therapy sessions for students with social pragmatic and executive function deficits. Smart Speech Therapy LLC is celebrating #BHSM2015 ASHA Better Hearing and Speech Month. So without further ado, below you will find my recommendations for designing effective vocabulary interventions for struggling students. This past academic year I have been delivering vocabulary intervention once a week for an hour in my setting to 5 different classrooms of low achieving students. This allowed me to research quite a bit regarding the principles of vocabulary teaching as well as gave me an opportunity to adapt and design my own vocabulary intervention materials. Vocabulary is of course one of the integral components of reading comprehension along with phonological awareness, phonics, and reading fluency. Knowledge of vocabulary is especially important for navigation of informational texts. Who can benefit from explicit vocabulary instruction? How can we design effective vocabulary interventions? According to Judy Montgomery “You can never select the wrong words to teach.” Beck et al (2002) recommends teaching Tier II words, as they would make the most significant impact on a child’s spoken and written expressive capabilities, and are useful across a variety of settings. 3. Have the students practice using these vocabulary words in various activities such as fill-in the blank, matching, sentence creation, etc. This thematic packet, which can be used all year round, was created to target listening and reading comprehension of older students diagnosed with language impairments and learning disabilities. You can grab it HERE in my online store. To celebrate the 2015 ASHA Better Hearing and Speech Month in May, Speech Language Literacy Lab has organized an RtI Blog Hop. 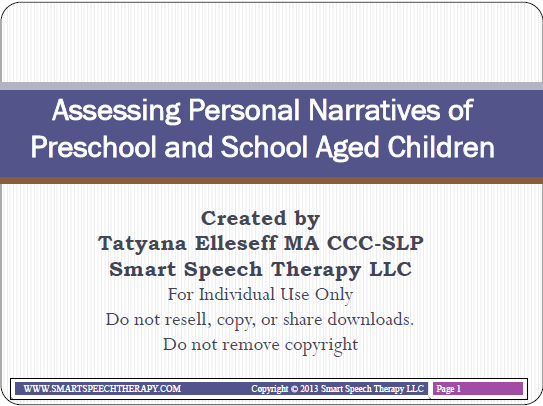 During the hop Smart Speech Therapy LLC along with 29 other professional bloggers from a variety of ancillary fields (e.g., OT, special education, etc.) will be sharing FREE materials and resources on the subject of School Based Innovation and RtI. Each day, readers will have an access to a new blog post to have access to new freebies and resources. Our organizer Sl3l lab will also be linking these blog posts to their site daily. 5/1/2015 Kick Off to Better Hearing and Speech Month! Hope to see you all hoping during #BHSM!